Proven to increase buyer engagement, floor plans are the perfect way to show off your property so your prospective buyer knows what they are getting before the first viewing. Floor plans are proven to generate a third more interest for property listings than those without one, not to mention 20% of buyers would write off a property before the first viewing if it didn’t have a floor plan. By choosing to include a floor plan with your property listing, you’re choosing a quicker sale. If you’re seeking a clear and concise floor plan to show off the layout of your property, a 2D black and white floor plan is the one for you. Albeit simple, this style of floor plan allows prospective buyers to get an idea of the property dimensions and layout. 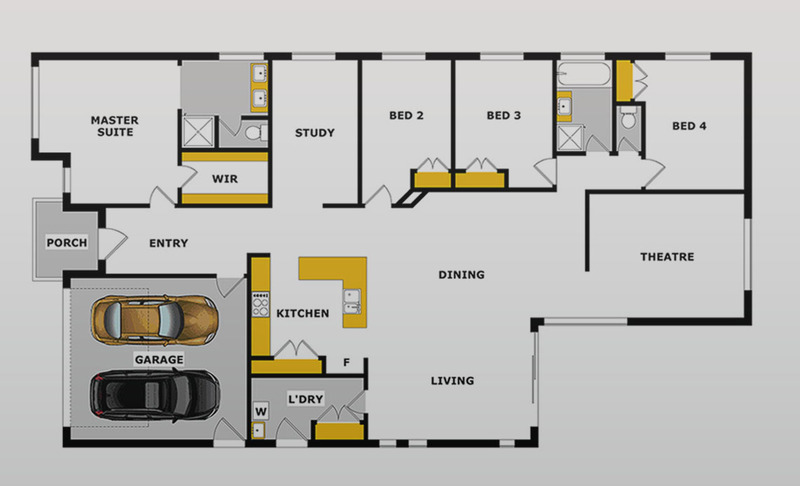 A simple floor plan with a striking visual appeal, the full colour 2D floor plan allows buyers to effortlessly inspect the overall flow of the property, viewing each room on its own. This is particularly helpful if the buyer is planning to extend or renovate the property. If you feel that it may benefit buyers to view a layout with furniture in-situ while showing off the flooring and outdoor space within the property, a 2D textured floor plan is the best option. This style of floor plan allows buyers to compare their own furniture against yours to ensure that the property is spacious enough for them. Better still, if you have beautiful wooden or tiled floors and an outdoor dining area in your property, buyers will see it as less work for them, giving your property a ready-to-move-in appeal that is particularly alluring for young families and professionals. An increasingly popular floor plan choice, a 3D full colour floor plan gives your buyers the chance to view your property in absolute 3D – they will feel as if they’re walking through your property, inspecting each element in full detail. A 3D floor plan shows off every feature throughout a property, from flooring transitions to windows and doors, attracting the best crop of buyers to your property. Founded in 2016 and with hundreds of happy clients already under its belt, UvAxis offers a variety of real estate image editing services to both consumer and commercial clients all over the world.